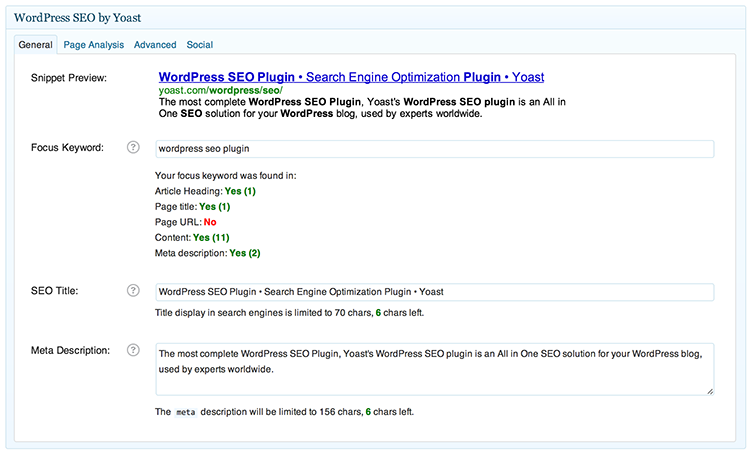 The best free WordPress SEO Plugin is Yoast’s WordPress SEO plugin. It’s free, and it’s really, really good. So, seriously… Stop what you’re doing, spend 10 minutes to get this done while I walk you through it, and it will forever benefit your business. How’s that for an R.O.I.? With Yoast’s WordPress SEO plugin, you can setup your meta data and OpenGraph data on your homepage, then (if you want) to override that data on a page-by-page basis (eventually you’ll want to) you can do that, as well. Do the work on one page and it will work across your website. Come back when you have time and update the rest of your pages. Install the Yoast WordPress SEO – congratulations, you’re ahead of the game. From there, fill in the General tab, and the Social tab, pictured below. An example of WordPress SEO homepage meta data. Use the Snippet Preview to preview your results. For your Focus Keyword, choose one main phrase. In a more advanced context, you will want this to be a phrase you have unearthed by doing keyword research. Keyword research shows you what people are actually searching, giving you an advantage when it comes to deciding what to write about. Ideally, your focus keyword shows up in your content somewhere, and in your title. It’s hard to stay on top of the latest changes in Google, and while I think Page Analysis offers good insights, it’s not the divine word of SEO. Be casual, and remember you’re writing for humans at the end of the day. For SEO Title, try to use all your characters to maximize the space your title takes up in search engine results. If possible, and natural, add your keyword here. SEO Title are the single most important aspect of your data, because it’s the first thing people read, and it’s where they make a decision on whether to read your Meta Description. For your Meta Description, try to use all your characters to maximize the space your description takes up. If possible – and natural – add your keyword here, too. If possible, use a call-to-action. They’re searching, and you have the answer. From the keyword, you have a good idea of what this person’s “search intent” is… So use that knowledge and tell this reader to click your link! In the photo above, I show your Open Graph data. This is data that Facebook (and other social media) use to display when sharing. 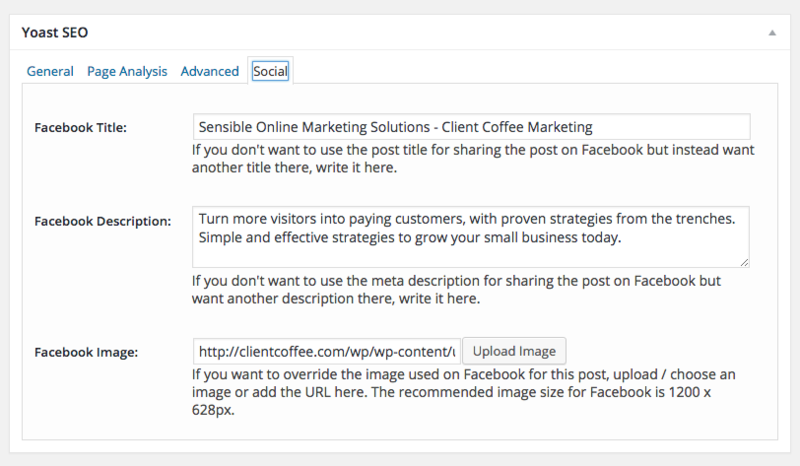 When you click the Social tab of the Yoast SEO box while editing a post, you will see the data you have control over. An example of your Facebook OpenGraph meta data. Fill this out to control how Facebook populates your URL’s when people share your content. For each of the Facebook Title and Facebook Description, try to use all your characters to maximize the space your title takes up in search engine results. 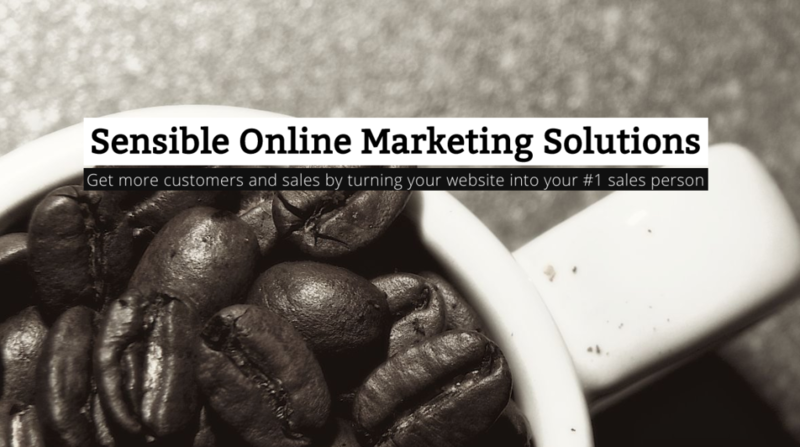 If possible, use a call-to-action and get people to click. 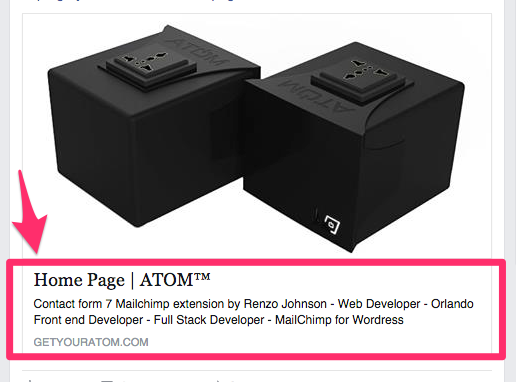 For your Facebook Image, use your Featured Image. If you’re coming up short on an image, one trick I use is to load a preview of your post and take a screenshot. Below I show an example of this. So there you have it, you’ve completed your OpenGraph data so your links are pretty when your prospects and customers share your website/content on Facebook and other social networks. You’ve also updated your website so that Google knows what to show people who search for the terms you’re writing about. But here’s the kicker – because Facebook and Google are such conglomerates in the online World, thousands of other social networks and search engines and websites, etc. use this same data. They know that you’re trying to make Facebook and Google happy, so they use that data to populate their own results. Leave a comment if you went through this, or have any problems, and I’ll be happy to help. I try my best to respond to each and every comment.